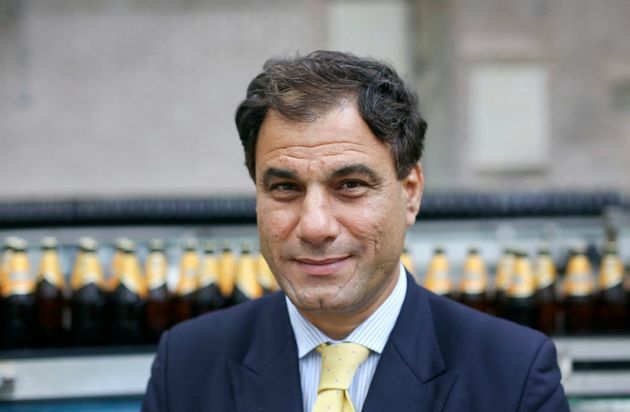 Cobra Beer Boss Lord Karan Bilimoria Blasts Theresa May’s ‘Illiterate’ Immigration Target, And Speaks Of ‘Appalling’ Post-Brexit Racism. Karan Bilimoria, founder and chairman of Cobra Beer, has launched a withering attack on Theresa May’s immigration policy. I’ve received hate crime that I had never received in three decades. A top peer and celebrated entrepreneur has blasted Theresa May’s immigration target as “economically illiterate” as he spoke of the “appalling” racism he has received following the “wretched”Brexit referendum. Lord Karan, founder of Cobra beers, said “anti-immigration sentiment is like never before”, and revealed he has been told to “go back to India” since the vote. The cross-bench peer’s withering criticism came as the Prime Minister was due touch down in India for a three-day trade mission. Lord Bilimoria, who is President of the UK Council for International Student Affairs, took aim at May wanting to cut net migration from more than 300,000 to 100,000, and warned of her previous “very negative messages” towards migrants when she was Home Secretary. “It is not an economically literate target. In fact, the Government’s approach to immigration is economically illiterate. “If you look at the numbers and the logic, we have the lowest level of unemployment in living memory of less than 5%, and that’s in spite of 3.6million people from the EU working in Britain. He went on that May has “a lot of bridge building to do” in India to “get a message across that we actually have a sensible approach to immigration”. “I have personally received racism and hate crime that I had never received in three decades. “I find that very sad whether it’s tweets, and of course people hide behind tweets, or whether it’s emails.